Where do I start... Dora is a very well known name in MANY households. The little girl with the awkward shaped hair who solves problems on a journey to a new place. To be honest, when my niece used to watch Dora 10 years ago I hated it. The graphics were dull and the adventures didn't make sense. 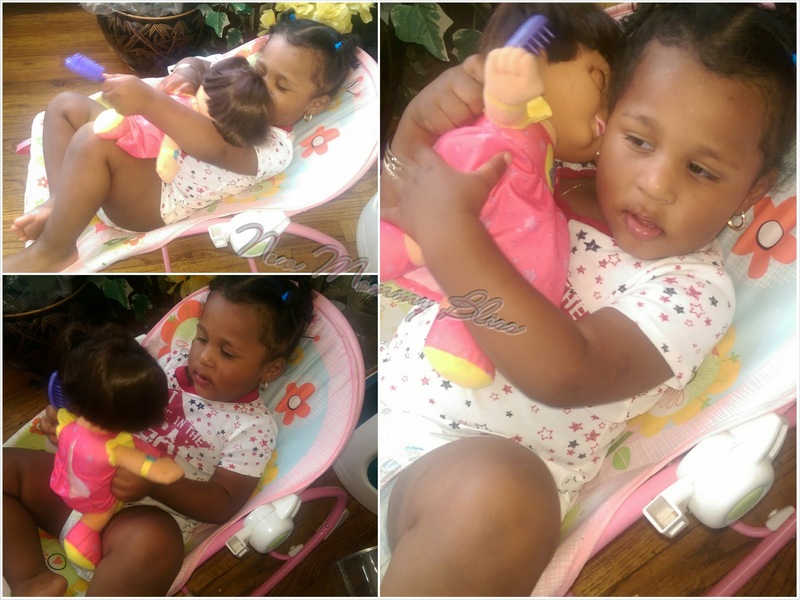 Fast forward 10 years and my Daughter is now in LOVE with Dora. 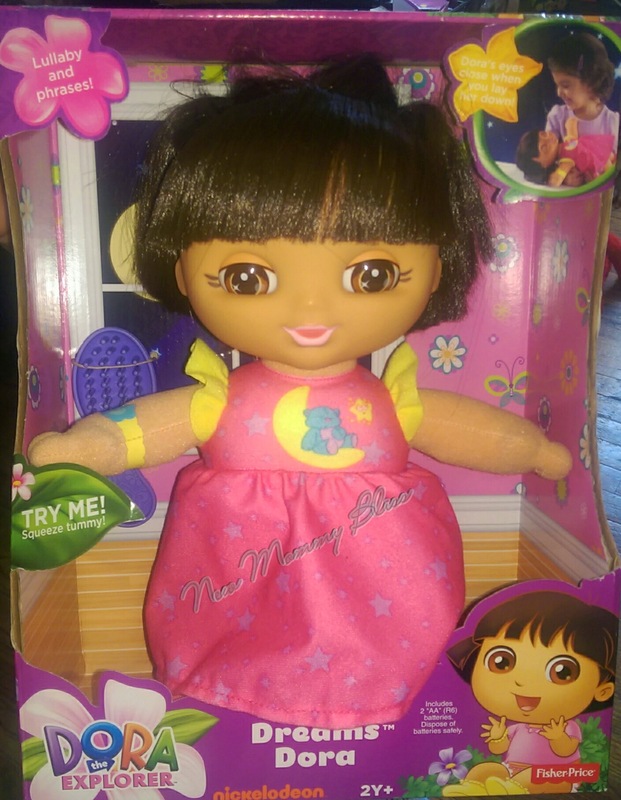 This holiday season, Nickelodeon has brought out many new Dora the Explorer toys including this Adorable Sweet Dreams Dora doll by Fisher-price. Sweet Dreams Dora sings a Lullaby and speaks many different phrases in a cute baby type of voice. The default setting of the doll is both English and Spanish like the popular TV show. My daughter adores the doll and is constantly asking for her 'Baby' when she's watching Dora. I don't mind watching Dora with her now due to their graphics upgrade and their new adventures that teach a lot more than they did before. One thing I love about Sweet Dreams Dora is that her eyes close when you lay her down, showing that she's "sleeping". It really helps the kids with nurturing play as well as helping them differentiate between asleep and awake. I will never be a huge Dora fan, but I will say that this is a great gift for the little Dora lover in your household. Her plush body is perfect for night time cuddles! Her accessories include a hair brush so that the littles could brush her two pigtails. I remember the days of Dora, we went on a trip when we had a small child and we met the girl who acts as Dora, she is so cool.